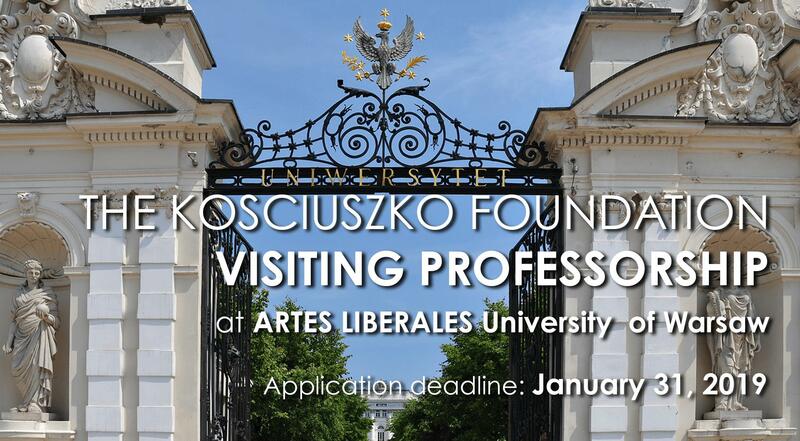 The Dean of the Faculty of „Artes Liberales", the University of Warsaw in cooperation with the President of the Kosciuszko Foundation, Inc. invites applications for the position of the Kosciuszko Foundation Visiting Professor. The position is co-sponsored by the Kosciuszko Foundation, Inc. and the University of Warsaw. 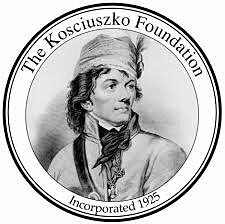 Founded in 1925, the Kosciuszko Foundation promotes closer ties between Poland and the United States through educational, scientific and cultural exchanges. 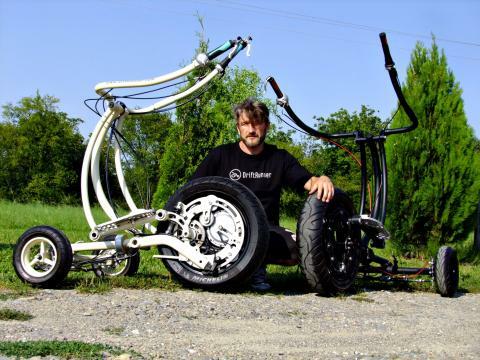 It awards fellowships and grants to graduate students, scholars, scientists, professionals, and artists, and promotes Polish culture in America. The appointment will be for five months in the spring semester of academic year 2019/2020 (from February 1, 2020 – June 30, 2020). The professorship is open to American senior scholars from U.S. universities with accomplishments in humanities, social sciences or natural sciences. No knowledge of Polish is required. 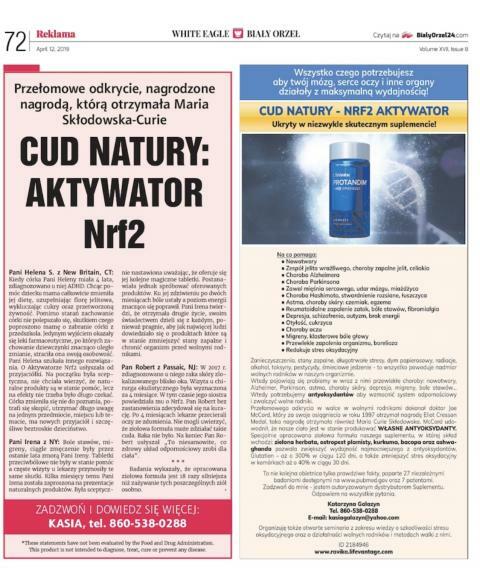 The visiting professor will be appointed in the Collegium „Artes Liberales" which is a part of the Faculty of "Artes Liberales" and offers courses to all students of the University of Warsaw. The Collegium has developed a unique program inspired by the curricula of U.S. colleges of liberal arts and sciences and seeks to restore awareness of the affinities between the humanities, social sciences, and natural sciences, and to nurture creative thinking and civic responsibility. The teaching load is 90 hours (3 courses) a semester (6 hours a week). Office hours - at least 2 hours a week. Courses will be taught in English. The appointee is expected to give at least two public lectures and participate in the academic life of the Collegium and the University. The visiting professor is expected to be in residence in the Warsaw area during the semester throughout the term of the professorship. The letter of application should include short descriptions of possible courses which the candidate might teach and a description of the candidate's current research interests. 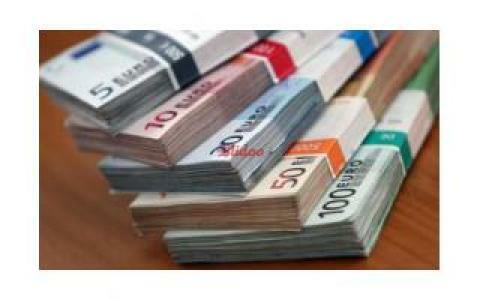 The University of Warsaw offers a competitive salary. Employment is for 5 months. Accommodation is not provided and travel expenses are not covered by the University. Letters of recommendation should be emailed separately by their authors to the same email addresses as scanned PDF files. Dual citizens (the United States and Poland) are not eligible. There are no exceptions to this requirement. Application deadline: January 31, 2019. All candidates will be informed about the results of their application on June 30, 2019. Founded in 1925, the Kosciuszko Foundation promotes closer ties between Poland and the United States through educational, scientific and cultural exchanges. It awards up to $1 million annually in fellowships and grants to graduate students, scholars, scientists, professionals, and artists, and promotes Polish culture in America. The Foundation has awarded scholarships and provided a forum to Poles who have changed history.